Leg-span: 1 m 27 cm / 4 ft.
Materials: polyethylene foam, metal wire, fabric, 2 radio-controlled engines. First public presentation - October 28, 2000, Moscow State Academic Chamber Music Theatre, Russia. 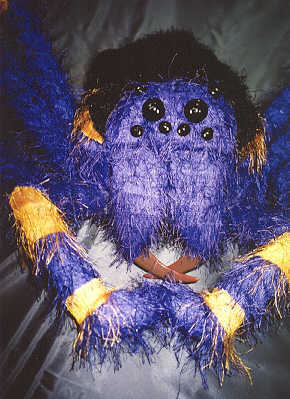 Spider probably is the first in the world completely radio-controlled puppet which performs separate puppet vignette in live stage puppet performance. 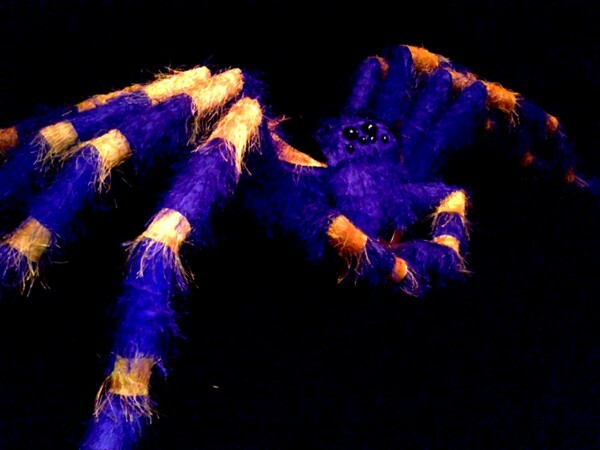 After two years of experiments the natural moving of all the 8 legs is successfully realized.